When I first came out of college in 1999, I started work as an analyst in pricing & tariffs for America West Airlines. I realize I sound like an old man when I say this, but back then it was a simpler time. When I left in 2002 to go to grad school, the industry had changed but pricing really hadn’t. A la carte pricing had yet to take hold, and the fare was still pretty much all people paid to travel. Since then, of course, things have changed rapidly. While it is obviously hard for travelers to keep up with these changes, I hadn’t even thought about how it would be for those doing my old job. A press release about a patent that ATPCO just received got me thinking. ATPCO is the airline-owned Airline Tariff Publishing Company. For decades, ATPCO has been the clearinghouse for airline fares and rules. Airlines would file everything with ATPCO, and then it would compile and distribute that information to travel agents, distribution systems, other airlines, etc. As a one-stop shop, it just made it easy to propagate changes to everyone who was selling tickets. Now I know I acted like times were simpler back then, but they were never really simple. When fares combined with rules, airlines could put last ticketing dates, restrict travel dates, pick only certain days/times where a fare was valid, limit availability to specific flights or combinations of flights with other airlines, add seasonal restrictions, apply surcharges, require an advance purchase, apply minimum and maximum stays, use blackout dates, and restrict by routing. There was a lot in there, but when it came to the consumer making a decision, the only real difference within any single cabin was whether the fares were refundable or not. The rest of the product was the same. Now, different fares bring very different product offerings with them. To make some sense of this, airlines have organized fares into various fare families, but these aren’t standardized. It can be very difficult to compare apples to apples. Consumer-facing websites have done a truly lousy job of displaying product differences between fares, though there has been some effort to fix that. I just wrote about how American was adding a carry-on bag back to the Basic Economy fare, because Google Flights put a simple filter that allowed consumers to request only fares that included a carry-on in the price. When people selected that, American was not competitive with Delta, an airline which includes a carry-on in its Basic Economy fare. That seemingly simple ability to categorize fares into what people want has materially impacted American’s ability to make money, and so American had to change its product to align with the market. But now think about it from a pricing analyst perspective. How the heck is an analyst supposed to keep this straight? Airlines do use sophisticated tools to analyze pricing in the marketplace. Some airlines have developed their own tools while others purchase them off the shelf. Presumably some are better than others (it’s been years since I’ve looked at one), but there’s always room for improvement. This, apparently, is the focus of this patent from ATPCO. The press release is fairly vague, but I did have the chance to speak with John Murphy, VP of Technology, Navid Abbassi, Chief Architect, and David Peart, R&D Innovation Architect so I could try to wrap my head around what they’re doing. So far there aren’t a ton of tools that are out there using this patented technology, but ATPCO has started to develop some. Here’s a look at the Total Price Comparison tool which is the most interesting so far. This looks at the lowest fare by airline in each market over time, and it includes all surcharges and taxes. Presumably this will also have the ability to do it by fare attribute (carry-on bag, etc) over time. The idea behind the patent is that it can deconstruct and compare fares to each other in real-time based upon the attributes. ATPCO isn’t interested in this patent just so it can sell some tools, however. This is really a play by ATPCO to remain relevant any way it can. The base functionality of ATPCO as a fare and rule aggregator is a relic from another time. That’s not to say the function isn’t useful, but there’s so much technology today to allow disintermediation that ATPCO has to find a way to stay in the game. It is planning on not only developing its own tools using this technology but also allowing others to develop off this. I know what you’re saying… “this makes it easier for a pricing analyst, but what the heck do I care?” Well, if pricing analysts can get better information and get a true sense of the dynamics of the market in real time, it should allow them to keep their airline more competitive with others. That doesn’t guarantee fares will come down, but increased competition usually pushes things in that direction. 16 Responses to If You Think Fares Are Confusing for Travelers, What About the Poor Pricing Analyst? 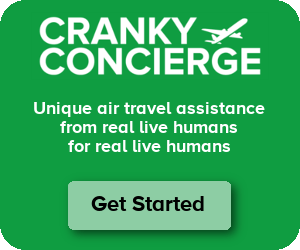 I’m not in the airline or tech/IT industries at all, but I just assumed that most airfare pricing these days was aided (at the very least) by a large amount of artificial intelligence and computing power behind the scenes, with analysts helping to set the parameters and approve the recommendations. Obviously a very simplistic layperson’s view, and probably far off, but from what little I understand of AI it seems like airfare/hotel pricing would be a decent use case for it. Many RM systems do quite a bit in an automated / recommendation approach. You generally see “strategies” set which take various internal metrics – load factor, date, etc. and various external factors like competitive shops, and apply strategy rules to make recommendations for each fare bucket and segment (segment being market segmentation – i.e. retail, opaque, corporate, etc.). Those are then permutated out across all specific products with associated fare rules. An RM Analyst accepts / rejects recommendations based on the strategy and may update it from time-to-time. The goal is to adjust inputs more often than adjusting the strategy. Different strategies can try to maximize total revenue, total profit, marketshare, focus on early or late customers, encourage routings, etc. The challenge highlighted here is that the strategy equation relies on competitor shops. Now, not all competitors offer and apples to apples comparison, making it harder identify the right algorithm and competitor product. Even harder when various codeshares are offering services around the same seat and the heavily banked hub structure and full flights have greater opportunity costs. Demand is also far more dependent than in the past where each market segment is no longer as distinct. Business people are booking premium cabins as well as basic economy and the old “saturday stay” or “roundtrip” restrictions aren’t quite enough anymore. Interesting, thanks. Appreciate the insights. Who measures the profitability of each completed flight and does that data need to be correlated with what the Pricing Analyst does? Wild Bill – It sounds odd, but profitability is irrelevant to a pricing analyst. The network team determines which flights are going to operate pretty far in advance, so the pricing responsibility is simply to maximize revenue. Costs are effectively fixed for that group. I always wonder if the airline industry would be better off if pricing was less complex. Just take a look at the frequent flyer programs of the major US airlines. They remind me of the Federal Tax Code. Nobody can truly understand all of it. The only US airline that has kept its pricing and loyalty program relatively simple is Southwest. I guess simplicity is part of their overall business model. I do suppose that if a major US airline tried to be less complex with pricing, one of their competitor’s would try to use a complex program to take advantage of it! So maybe there’s no solution. iahphx – You aren’t the first to wonder that. Remember that American tried to go with a much more streamlined pricing structure in the early 1990s, but competitive response tore that to pieces. Southwest isn’t simple at all, but it may look that way on the website. No airline is simple except for an airline that’s planning on going out of business. Southwest DOES look simple to the consumer on their website! And “understandable.” It sounds like there’s more than meets the eye, though. When I had a companion pass (I gave it up this year), I would frequently check for fares (especially since you can rebook existing reservations without penalty if fares go down). Their pricing usually seemed logical to me. FWIW, without my companion pass, I don’t pay much attention to WN fares these days because they usually seem expensive compared to the competition (and since they’re not on the CRS, it’s not worth my time looking for a needle in the haystack of their usually non-competitive fares). It’s important to note that pricing is separate from inventory. On competitive routes generally an airline matches all price points and inventory will set availability. Of course with different fare attributes matching a price point is more difficult especially for AA, as they were not wholly competitive. ATPCO, a true relic, like the people that compile and publish phone books. As to pricing analysts, should I care? Please think of us consumers. I know, you have a billion fares in every market, each fare with hundreds of undecipherable rules. All I care about is getting a price for some flight provided with whatever it is I want. OK, what is your price? This is what I’m willing to pay. Can we agree on some price? Fine! I don’t care why you asked for your price, neither should you, mine.” If ATPCO went kaput, sure would be some nice office space made available here at Dulles. And, to those pricing analysts, I’ve noticed some of them have become very fine travel agents and bloggers! Oh for the love of Zeus — ATPCO! 40 years ago this summer, I interned in my local travel agency – the beginnings of my 14 year career in travel. My first job? Tariff revisions. Picture a stack of brown paper bundles piled to the ceiling — 2.5 stacks eight feet tall! Completely out of date order (the stacks had fallen several times). But the rule was that each agency HAD to have an updated set of tariffs. It was a helluva an introduction to fares (first, economy, supersaver, Apex, peak, off peak, night fares). It was only a test — to see if I would stick around, was organized, etc. My reward was ATC domestic ticketing school in what is now the Hyatt LAX and PanAm international tariffs and ticketing school in London. Pretty sure I’ll dream about those brown paper bundles from ATPCO tonight! Having worked as a Pricing Analyst for American Airlines, fares were complicated in the 80’s 90’s and 2000’s. I can only imagine what it’s like today. In addition to your great breakdown by product/fare, you were only showing one lane segment. Take LAXDFW…imagine the fare structure and add several thousand city pairs. Remember AA has a hub at both ends of this segment. So the LAXDFW segment has to accommodate fares from MRY-DFW, LIH-LAX, SBA-LAX, etc using the LAX Hub. LAXDFW (DFW Hub) for LAX-LIT, LAX-MSY, LAX-ATL, etc. And LAXDFW for local traffic, which to be honest, AA is least interested. AA is more the happy to let carriers like NK bottom feed local traffic, while they fill up their seats with thousands of city pairs supporting one LAXDFW segment. As you can tell, millions of fares are loaded into airline computer systems. Airline fares are very complex, and it always angered me when news reporters said “the person sitting next to you is probably paying a different fare!” The next time you fly, the person sitting next to you probably isn’t paying the same fare! They probably aren’t travelling origin and/or destination than you are. While the profitability of US-China flying has been a known issue for a while now, I’m surprised that they can’t seem to make a JV hub-to-hub route like ORD-NRT work. Yes, both the oneworld carriers are smaller in their respective ends than their Star Alliance competitors, but still. I wonder what the scuttlebutt among AA’s pilots must be like for this. On a net basis, the Asia cuts are at least partually offset by all the new Europe flying, but since a lot of that is seasonal and touches other hubs, the ORD pilot base can’t be happy. Itami – I think the issue isn’t that Tokyo doesn’t work. It’s that Tokyo doesn’t work with 14 flights a week into Narita. With JAL’s daily flights alongside United’s daily and ANA’s two daily (one each to Haneda and Narita), it’s a very crowded market.